No matter what you hear about growing your own veggies or flowers, you are not going to save a wheelbarrow of money as some people claim. 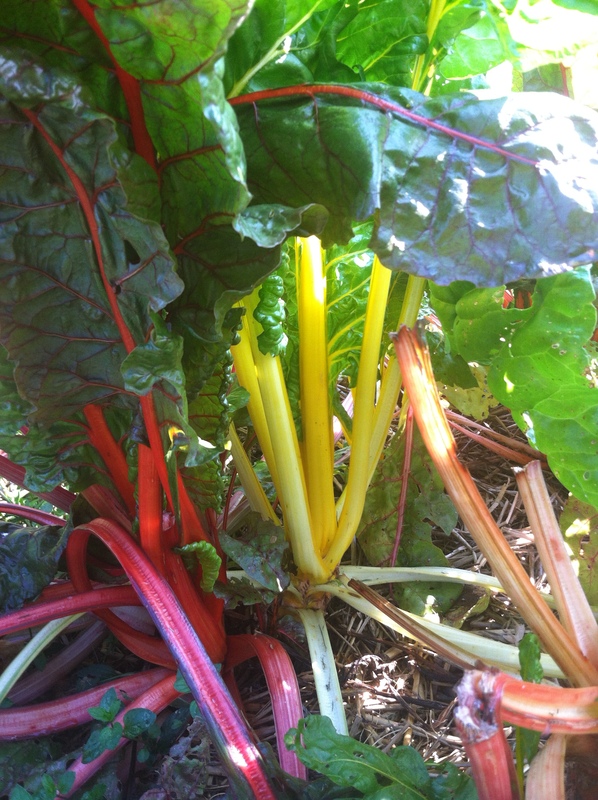 Start up costs and ongoing costs usually are an unpleasant surprise for beginning gardeners. You have outlays of seeds and plants, soil, stakes, tools, watering costs, containers, mulch, and fencing for pests. On the plus side, you do have the satisfaction of growing something for yourself that is healthy and free of pesticides, and the often overlooked benefit of being outdoors and keeping active. 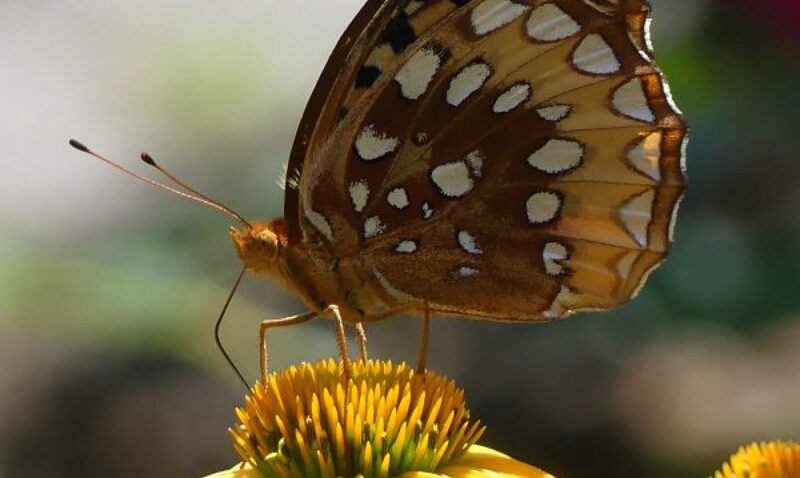 There are some penny-wise strategies on gardening which you should consider before plunking down a whole bunch of money, or till up a huge patch of virgin soil and become frustrated by the heat, the bugs, and lack of rain. Here are some tips on cutting costs so you can have healthy food and decorate your home with fresh-cut flowers all season long. Yes, starting seeds will save you some money if you do it right. But think of your startup costs – grow lights, heating mats, growing medium, containers, seeds, fertilizer, space, and unexpected happenings like forgetting to water for a few days. 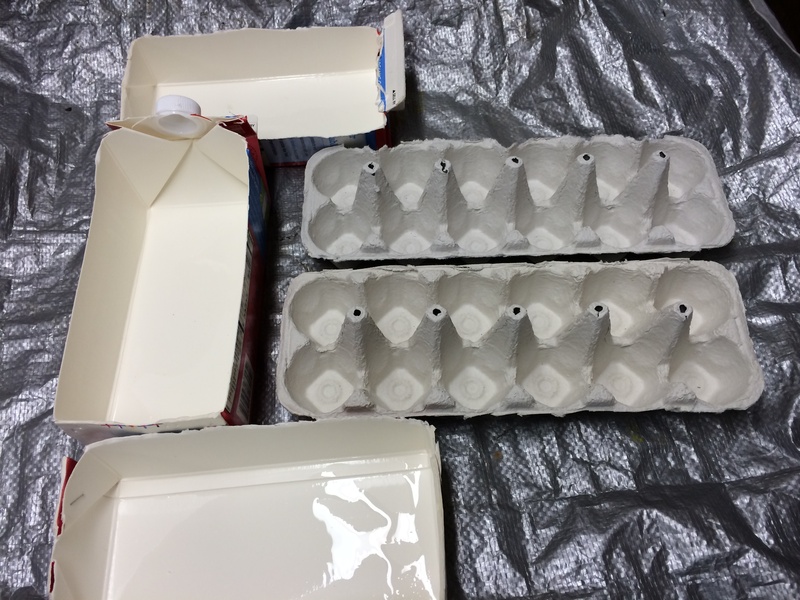 See my post on To Seed Or Not To Seed to see how to use recyclables for containers and how I start my seeds. 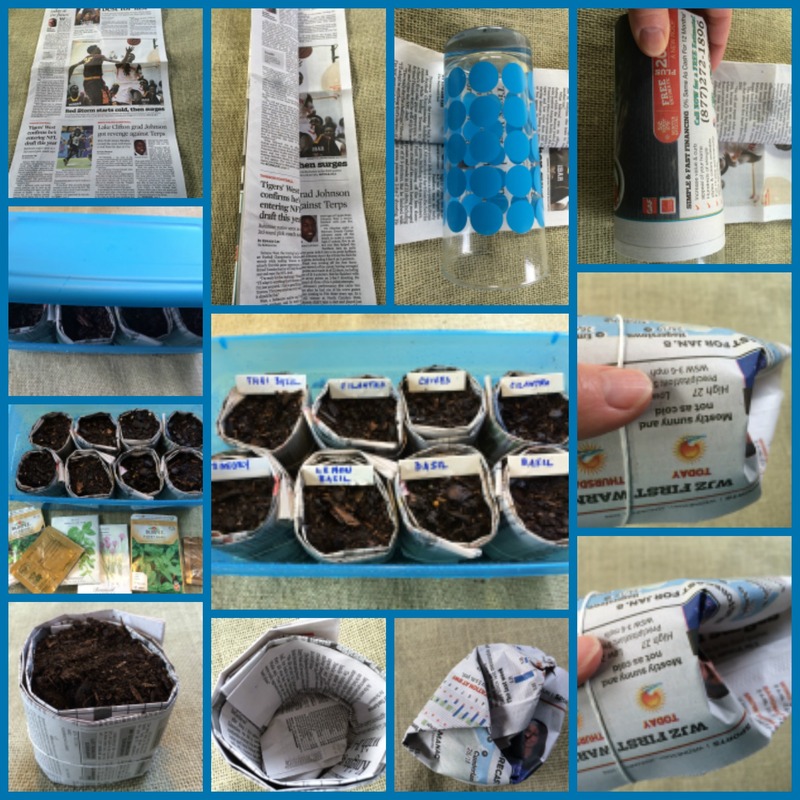 Also go to Art of the Seed to see how to make newspaper seed starters for ways to cut your costs. So many garden forums tout the cost savings of starting plants from seeds, but beginners beware-It ain’t easy! 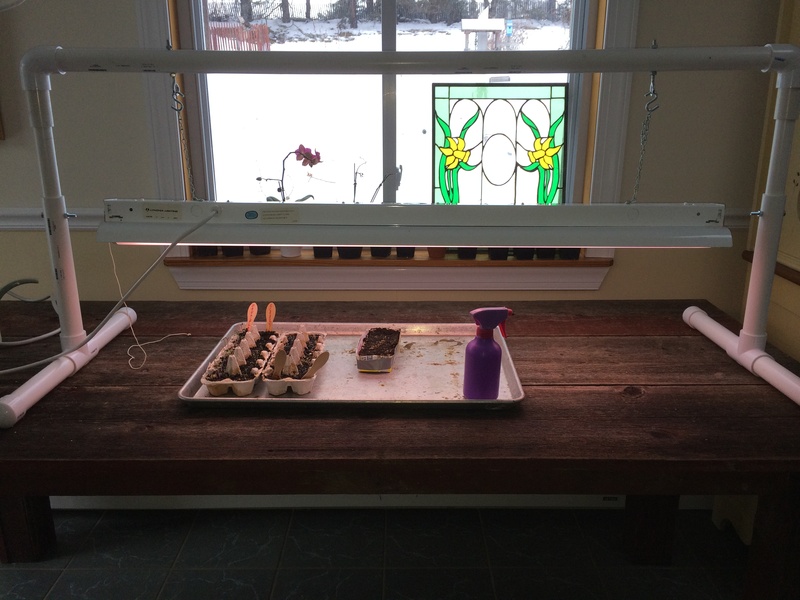 Do you really want to tend the seedlings for months, and battle damping off (fungal disease), commitment of house space, and if you don’t have a grow light- leggy seedlings? And once you get them outside and don’t acclimate them in a cold frame, the seedlings wilt from the unaccustomed wind and hot sun, and months of work just melted away! If I sound pessimistic about starting seeds inside, I still struggle after 30 years. Go to newgardenerblues to check a fellow blogger’s post on starting seeds at Will I Ever Start Seeds Again? There are some plants that are a waste to buy; cucumber, corn, beans, melons, squash, lettuce, and some herbs. For those veggies, direct seed them when the soil warms up. For flowers, direct seed zinnias, poppies,cosmos, sunflowers, marigolds, and tithonia as they grow easily from seed and it would be throwing money away to buy plants of these. Usually the larger the seed, the easier it is to germinate. Also, direct seeded plants will outstrip transplants as they are already rooted in. For veggies, grow what your family likes and will eat. And try to grow things that are pricey at the market, such as asparagus, fancy mixed greens, artichokes, tomatoes, and peppers. Also, you have the opportunity to grow things that you can’t buy at the market. If space is a premium, don’t grow things such as pumpkins, corn, and winter squash which eat up the ground and produce too little produce for the room invested. Blueberries, raspberries, and blackberries are a great investment. 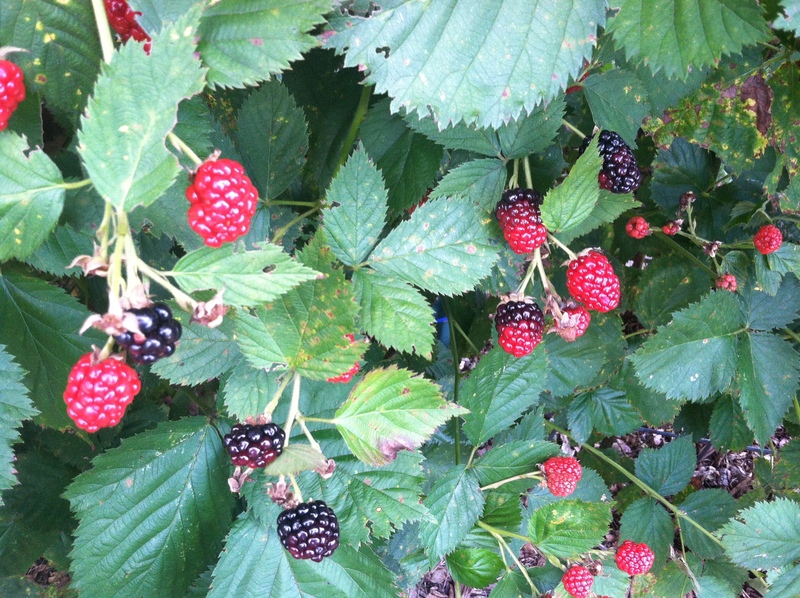 We eat a lot of berries and they are so easy to grow and pick. Go to Blueberry Bonanza and Rolling In The Blackberries to find out the best way to grow these. I still have blueberries in the freezer from July. Add bulbs to your garden every year, and you will get years of enjoyment from them blooming in the garden, as well as cut flowers in a vase. For example, a King Alfred daffodil bulb at a big box store is about .90 a piece. Daffodil bulbs will multiply many times over while in the ground and you would recoup that investment in no time. 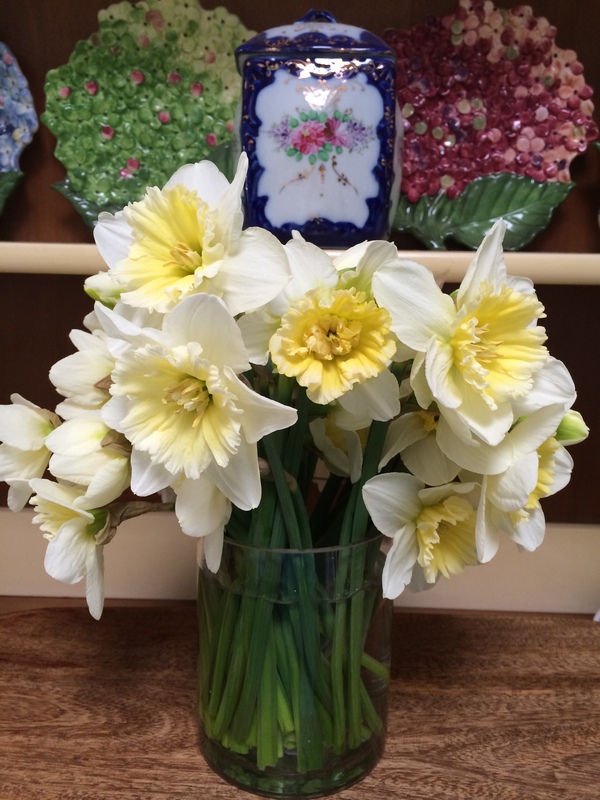 Bulbs are the gift that keeps on giving! Be wary of planting bulbs like tulips that attract deer and are tasty treats for squirrels. But planting daffodils is like money in the bank. Composting all your organic table scraps and yard waste is a huge savings for me in fertilizer costs. Compost adds valuable nutrients to your soil, and keeps it healthier than using chemical fertilizers. Have you checked the prices on fertilizers lately? Expensive! 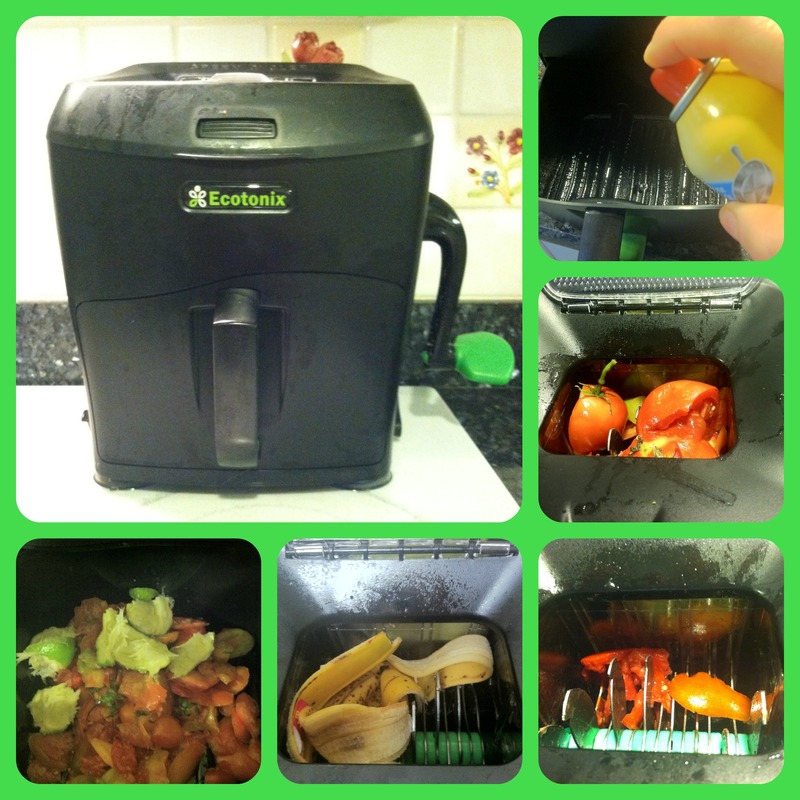 Go to Here’s the Dirt on Composting to see ways that you can compost in your kitchen or in your yard. Don’t bag up those leaves for the landfill this fall. 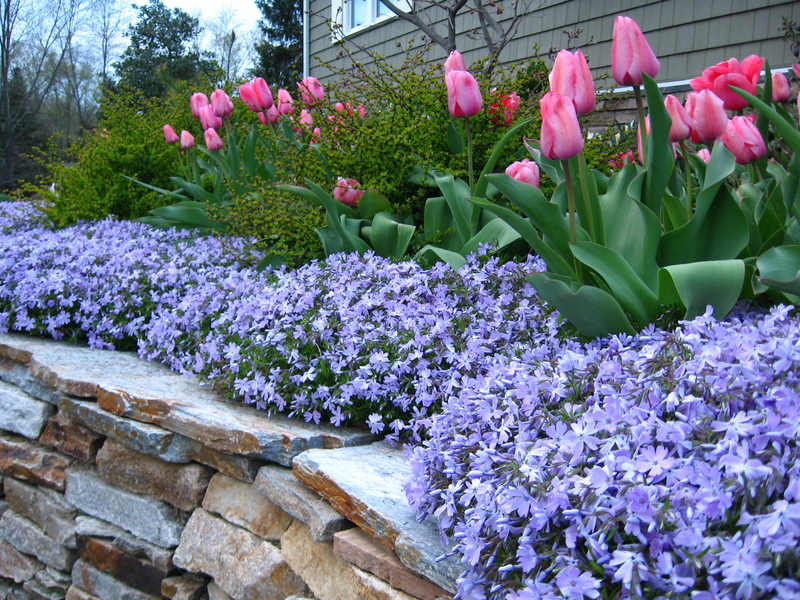 Dedicate a corner in your yard as a compost heap where you can dump all your organic debris. It could be an open air pile or one of the enclosed composters on the market if you are a neatnik. 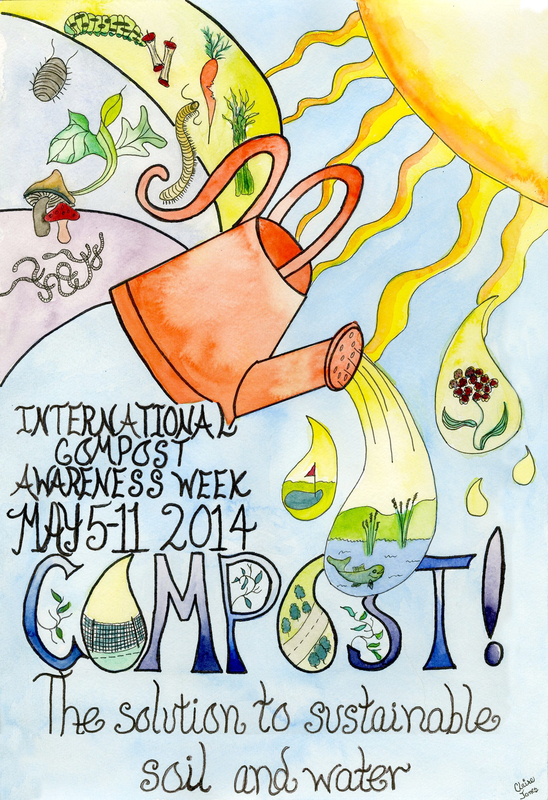 Composting is the sustainable way of gardening, plus saves you money! You don’t need anything fancy or expensive. If I were on a desert island and could just have three gardening tools, I would pick a digging spade, a digging knife, and a rake. Oh, and my Felco Pruners! 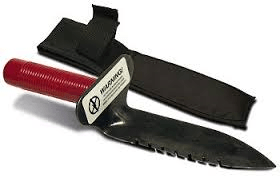 A digging knife will outlast any trowels that you can buy, will cost a little more initially, but will never break or bend like trowels do. Be a good housekeeper in your garden shed and to ensure that your tools last, clean and oil them in the fall so they don’t rust while not in use. Water is expensive and can add a lot to your gardening bill, especially if you have a large vegetable garden. Make or buy some rain barrels for each of your downspouts. I picked up my empty barrels from a cola bottling plant for $7, and with a few pieces of hardware, converted them into rain barrels. Go to my post Rain Barrel Eye Candy and see how easy it is to make one in about an hour. Easy, even I could do it! I love Rebar (reinforcing bar) which is used for concrete strengthening work. Made in different lengths and available at Home Depot, you can make just about anything with it in the garden. Stakes, fences, gates, arbors- the possibilities are endless. I place rebar across my pond in the late fall and drape a net over it to keep leaves from falling in. Rebar is a couple a dollars a piece and will last forever, unlike those wimpy bamboo stakes that always need replacing. 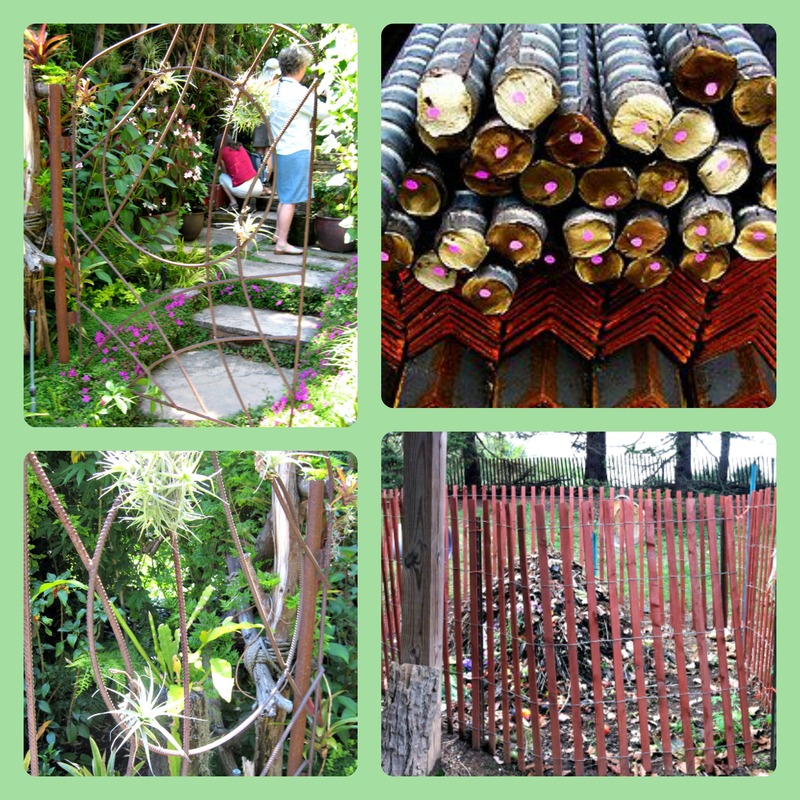 Another idea is to simply stick rebar in the ground and wrap snow fence around it for a compost pile. Thanks for mentioning my Blog. I’m on my fifth packet of broccoli this year – I’m having better luck with the free wildflower seeds from my local extension office!! As for starting from seeds inside, it is a lot of work and a ton of luck!! I couldn’t resist. I followed your efforts, and was rooting for you, but sometimes things work out differently from what we would like! But we learn from our experiences. I have saved seeds and started plants from seeds for years. Once I got started, I was hooked. I don’t have success every time, but usually have pretty good results. I feel it saves me a lot of money because I have 8 large flower beds and a veggie garden. Annuals are so easy to grow and work very well for me all summer. And, the cost of buying plants can really add up these days! I agree and I grow lots of seeds inside and outside. For some people though, it is easier to just buy the plants. Thanks for reading! What a wealth of information. Thank you Claire! However, I still think I will buy the small plants instead of seeds! Can’t wait to get planting. I would appreciate information on how I can get someone to prune my fruit trees for free in Florida. I was not well for the last five years, wondering if there is a volunteering program with any teaching class. Thanks for a reply.